Relax and read a book or watch TV on this plush contemporary chair after a long day at work. 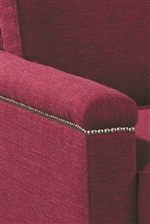 Tapered feet and nail head trim accented track arms work to create a stunning contemporary chair. 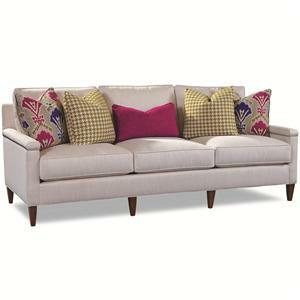 The plush loose seat and seat back cushions make it easy to let the stress of the day go and just relax. With this chair in your home, you will have a new best seat in the house. 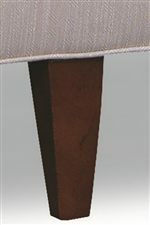 The 7216 Contemporary Chair with Tapered Feet by Huntington House at Wayside Furniture in the Akron, Cleveland, Canton, Medina, Youngstown, Ohio area. Product availability may vary. Contact us for the most current availability on this product. The 7216 collection is a great option if you are looking for Mid-Century Modern furniture in the Akron, Cleveland, Canton, Medina, Youngstown, Ohio area.